YOSEMITE NATIONAL PARK, California -- California health officials are investigating another possible case of plague in a tourist from Georgia who fell ill after visiting Yosemite National Park, the second case in less than a month. The California Department of Public Health said Tuesday "the presumptive positive case" of plague occurred in a patient who visited Yosemite, the Sierra National Forest and surrounding areas in early August. Officials said the federal Centers for Disease Control is testing the person, whose gender and age were not released. U.S. Public Health Service Dr. Danielle Buttke, who is in Yosemite investigating the outbreak, says no new areas have been closed in Yosemite. A child fell ill with the plague after camping with his family at Yosemite's Crane Flat Campground in mid-July. The park reopened Crane Flat on Friday after treating it for four days with an insecticide. 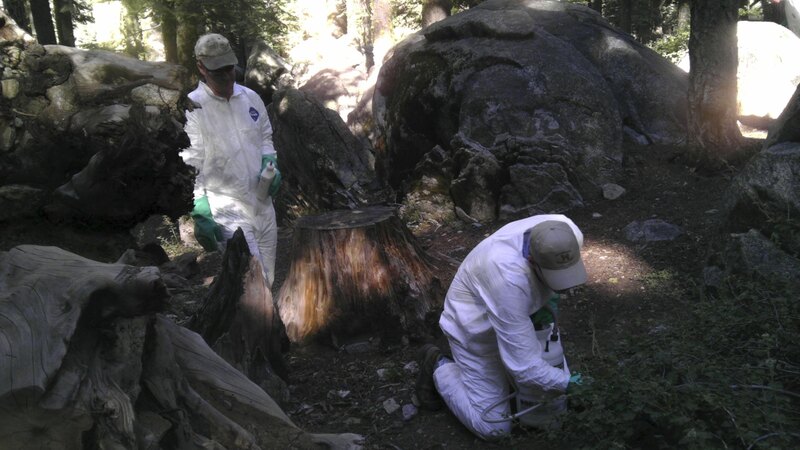 Last week, Yosemite officials temporarily closed a popular campsite after two squirrels died of plague in the area. Tuolumne Meadows Campground will stay closed until noon Friday so authorities can treat the area with a flea-killing insecticide. Campers had their reservations canceled at the 304-site campground so the insecticide can be sprayed into rodent "burrow holes," the California Department of Health said. Plague is carried by squirrels, chipmunks and other small rodents and is spread by their fleas. But transmission between people is rare. "Although the presence of plague has been confirmed in wild rodents over the past two weeks at Crane Flat and Tuolumne Meadows campgrounds in Yosemite, the risk to human health remains low," the state Department of Public Health said in a statement. "Action to protect human and wildlife health by closing and treating campgrounds was taken out of an abundance of caution." Officials say people should never feed squirrels and other small rodents. Campers should avoid setting up near rodent burrows, and hikers should wear long pants and use bug repellent to keep fleas away. Plague symptoms include fever, chills, nausea, weakness and swollen lymph nodes in the neck, armpit or groin. Since 1970, 42 people in California have contracted plague, resulting in nine deaths. Health officials find plague-infected animals every year, mostly in the state's mountains and foothill regions. Last year, plague was found in the counties of El Dorado, Mariposa, Modoc, Plumas, San Diego, Santa Barbara, and Sierra.